Something new for St-Patrick's Day, Axe Throwing! We’ve all done the bar crawl, wearing green everything and drinking green beer for St-Patrick’s Day. If you’re looking for something fun, unique and active to do this St-Patty’s day come out for some axe throwing! Our coaches at Bad Axe Throwing will gladly celebrate this Irish holiday by teaching you how to throw an axe like an Irish viking. Forget the traditional St-Patrick’s Day parade and celebrate this Irish holiday with us! With 17 locations across Canada and the US, there’s bound to be a location near you. A few locations include; Toronto, Ottawa, Surrey, Winnipeg, Chicago, Denver, Oklahoma City, San Francisco. Many of these locations have walk in times available starting today until Sunday. No reservations are needed, just check the schedule online and show up! No need to break the bank either, for just $20/hour you and your buddies can throw axes like a Irish vikings. 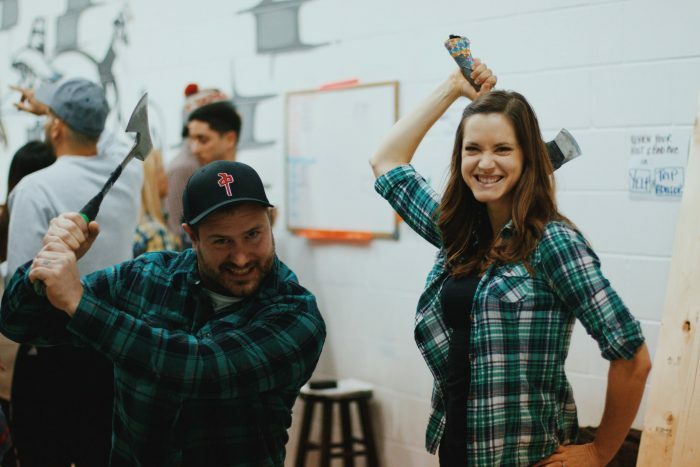 So, put on your plaid green shirt, fake red beard and get excited to throw some axes!